"Many problems of modern society cannot be solved by laws and the legal system because moral behavior cannot be legislated." Write a response in which you discuss the extent to which you agree or disagree with the statement and explain your reasoning for the position you take.In developing and supporting your position, you should consider ways in which the statement might or might not hold true and explain how these considerations shape your position. adopt pets from the shelter. And that will reduce the incidence of heart disease in the general population. 1. The children's _____ natures were in sharp contrast to the even-tempered dispositions of their parents. 2. With the rate of technological (i) _____accelerating—many people now consider a personal computer (ii) _____after three years—the question of how to properly dispose of old equipment is no small matter. 3. Bureaucrats tend to (i) _____ .So it is surprising that the European Commission is proposing to hand back some of its antitrust powers to national governments. Such a willingness to (ii) _____ power is quite (iii) _____ .Perhaps the commission, so often a byword for meddling, bungling, and even corruption, is starting to put its house in order following the forced resignation of the previous lot of commissioners last year. 4. Despite her relaxed and flexible style,Ms.de la Fressange is _____ businesswoman who knows how to market her brand:herself. 6. Parkin's characterization of the movement as Neo-Scholastic is too _____ to be accepted without further investigation. 1. 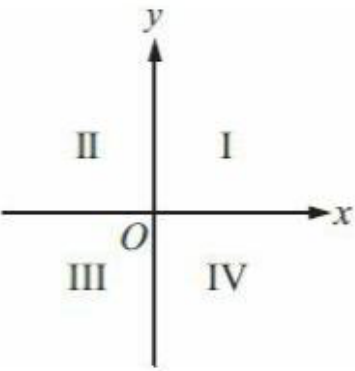 In a probability experiment, G and H are independent events.The probability that G will occur is r,and the probability that H will occur is s, where both r and s are greater than 0. A. Quantity A is greater. B. Quantity B is greater. 2. The area of circle W is 16*π and the area of circle Z is 4*π. What is the ratio of the circumference of W to the circumference of Z? 3. The interior dimensions of a rectangular tank are as follows: length 110 centimeters, width 90 centimeters, and height 270 centimeters. The tank rests on level ground. Based on the assumption that the volume of water increases by 10 percent when it freezes, which of the following is closest to the maximum height,in centimeters,to which the tank can be filled with water so that when the water freezes, the ice would not rise above the top of the tank? 4. In a certain sequence of numbers, each term after the first term is found by multiplying the preceding term by 2 and then subtracting 3 from the product. If the 4th term in the sequence is 19, which of the following numbers are in the sequence? Indicate all such numbers. James W. Coleman's book on John Edgar Wideman's literary career addresses the needs of a general,if well-read,public rather than the esoteric vanities of scholarly specialists, whom he neither ignores nor flatters.To assume the former audience was familiar with every work Wideman ever penned would have been pretentious. Instead,Cole- man furnishes more than ample descriptive criticism and background information, avoiding the cryptic allusiveness that is favored by some academic critics but that discourages the undergraduate audience he likely envisioned.Unfortunately,this accent on bringing serious Wideman criticism to a broader audience often frustrates the reader who wishes that announced themes,techniques,and stylistic devices would not whisk by as quickly as world capitals on a seven-day package tour of the globe. Most recent work on the history of leisure in Europe has been based on the central hypothesis of a fundamental discontinuity between preindustrial and industrial societies.According to this view,the modern idea of leisure did not exist in medieval and early modern Europe:the modern distinction between the categories of work and leisure was a product of industrial capitalism. Preindustrial societies had festivals (together with informal and irregular breaks from work),while industrial societies have leisure in the form of weekends and vacations.The emergence of leisure is there-fore part of the process of modernization.If this theory is correct,there is what Michel Foucault called a conceptual rupture between the two periods, and so the very idea of a history of leisure before the Industrial Revolution is an anachronism. jousting,hunting,tennis,card playing,travel,and so on—or that Europe in this period was dominated by a privileged class that engaged in these pursuits.What is involved in the discontinuity hypothesis is the recognition that the people of the Middle Ages and early modern Europe did not regard as belonging to a common category activities (hunting and gambling, for example) that are usually classified together today under the heading of leisure. Consider fencing:today it may be considered a“sport,”but for the gentleman of the Renaissance it was an art or science.Conversely,activities that today may be considered serious,notably warfare,were often described as pastimes. Serious pitfalls therefore confront historians of leisure who assume continuity and who work with the modern concepts of leisure and sport,projecting them back onto the past without asking about the meanings contemporaries gave to their activities. 2. The author of the passage asserts that the“dichotomy”(last paragraph)can lead to which of the following? 3. Which of the following best describes the organization of the passage as a whole? A. Two hypotheses are discussed, and evidence in support of one is presented. B. A hypothesis is presented and discussed, and a limitation to the hypothesis is identified. C. A hypothesis is proposed, its supposed advantages are shown to be real, and its supposed disadvantages are shown to be illusory. D. A problem is identified, two hypotheses are advanced to resolve it,and both are rejected. E. A problem is identified, two resolutions are proposed,and a solution combining elements of both is recommended. Geographers and historians have traditionally held the view that Antarctica was first sighted around 1820,but some sixteenth-century European maps show a body that resembles the polar landmass,even though explorers of the period never saw it.Some scholars,therefore,argue that the continent must have been discovered and mapped by the ancients, whose maps are known to have served as models for the European cartographers. Which of the following, if true, is most damaging to the inference drawn by the scholars? A. The question of who first sighted Antarctica in modern times is still much debated,and no one has been able to present conclusive evidence. B. Between3,000and9,000years ago,the world was warmer than it is now,and the polar landmass was presumably smaller. C. There are only a few sixteenth-century global maps that show a continental landmass at the South Pole. D. Most attributions of surprising accomplishments to ancient civilizations or even extraterrestrials are eventually discredited or rejected as preposterous. E. Ancient philosophers believed that there had to be a large landmass at the South Pole to balance the northern continents and make the world symmetrical.